President of the firm, is a Nationally Certified Architect with a Bachelor of Architecture degree, with Honors, from the University of Notre Dame. 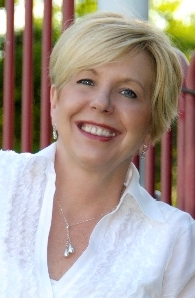 She has over 20 years of residential experience in the Midwest, Mid-Atlantic, East Coast markets and Germany. A veteran speaker at the International Builder’s Show (2001-2009) and the American Home Furnishings Alliance (2005). Cheryl is recognized by NAHB as a leading residential architect. She is also a contributing editor to Professional Builder, and Sales & Marketing Ideas magazines, and has been interviewed in several magazines including Realtor and Furniture Style. As Director of Architectural Services for Ryland Homes, 'Brien oversaw the design of 3,000 homes per year. In the same position at Realen Homes in the Philadelphia area, she redesigned their entire line of single family homes, resulting in substantial savings and excellent sales. Since establishing her own firm in 1996, 'Brien has designed homes for builders, developers and private clients in Connecticut (CT), Delaware (DE), Maryland (MD), Massachussetts (MA), Michigan (MI), New Jersey(NJ), New York(NY), Ohio (OH), Pennsylvania (PA) and Kansas (KA). Her work spans the market from first time buyers to high end luxury homes, and consistently results in outstanding sales and satisfied customers. Her work has been honored in the Ohio Parade of Homes Competition, the Better Homes and Gardens Innovations in Housing Competition, the Professional Builder's Best in American Living Awards and featured in Builder Magazine. Her judging experience includes the Best in American Living Awards (2004) and the Regal Awards of DE (2005). site design: C.O'Brien Architects, Inc.